Pencil us in for this promotional calendar! Keep track of important dates and documents all in one safe, convenient place. This calendar includes a large single pocket to store documents, fliers, coupons, receipts or invitations. It's bound with a durable metal spiral along the top and includes a hole for quick and convenient hanging. Hang this pocket calendar in your kitchen or your work space to stay on top of your busy schedule. Size: 14-1/4" x 10-3/4" x 1/16". 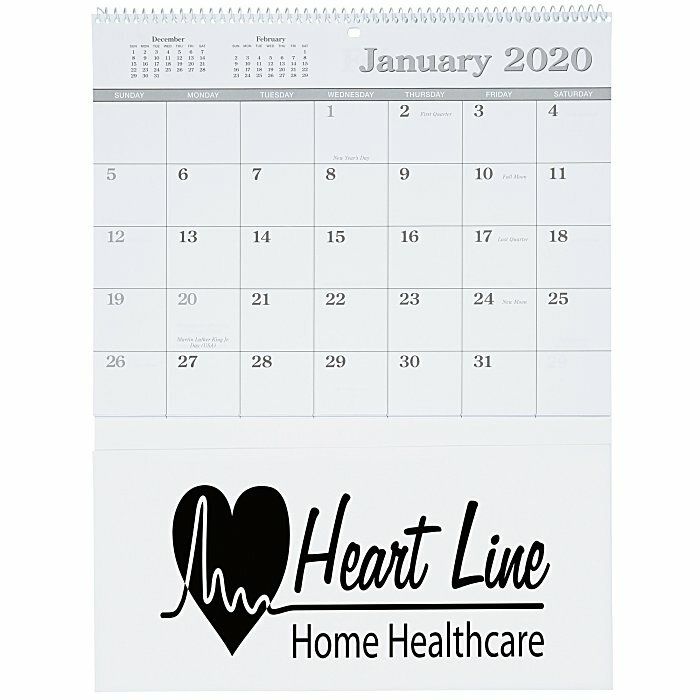 Your price includes a one color imprint on the pocket, below the calendar.